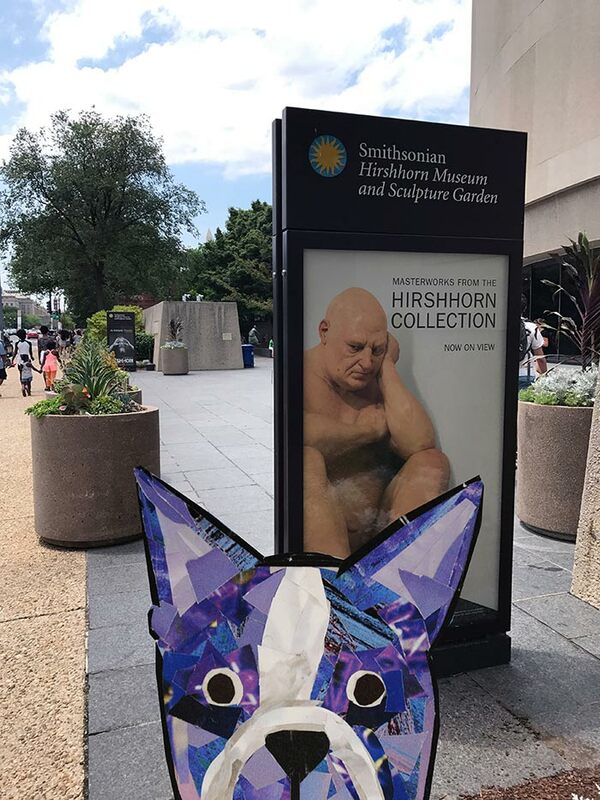 Since Bosty lives in the Washington, DC area, he decided to stop by the Hirshhorn Museum and Sculpture Garden to check out the latest art exhibit. 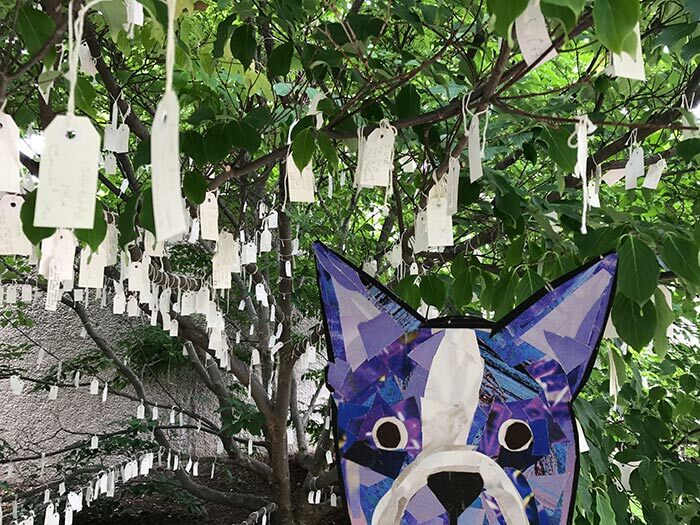 On his way over to the building, he stopped by the sculpture garden and decided to add a wish to Yoko Ono’s “Wish Tree for Washington, DC.” Visitors can write wishes on tags and tie them to the tree – how fun! 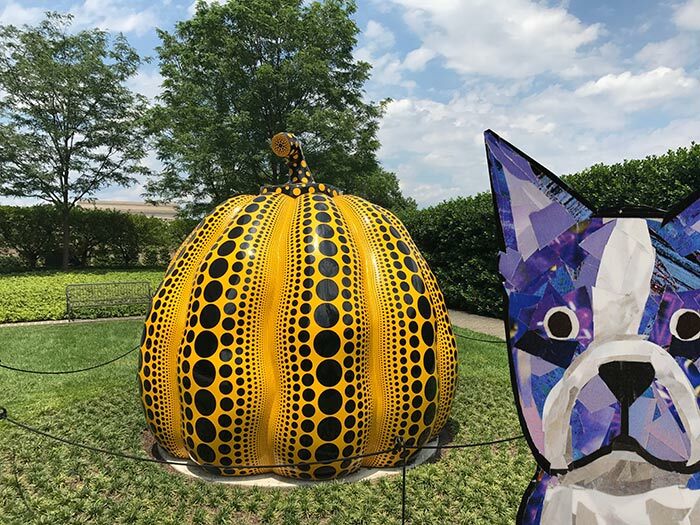 He really liked Yayoi Kusama’s pumpkin sculpture, just look at those colors and dots! Some of the sculptures were very visually impressive – like this “Needle Tower” by Kenneth Snelson, that seems to repeat itself infinitely. 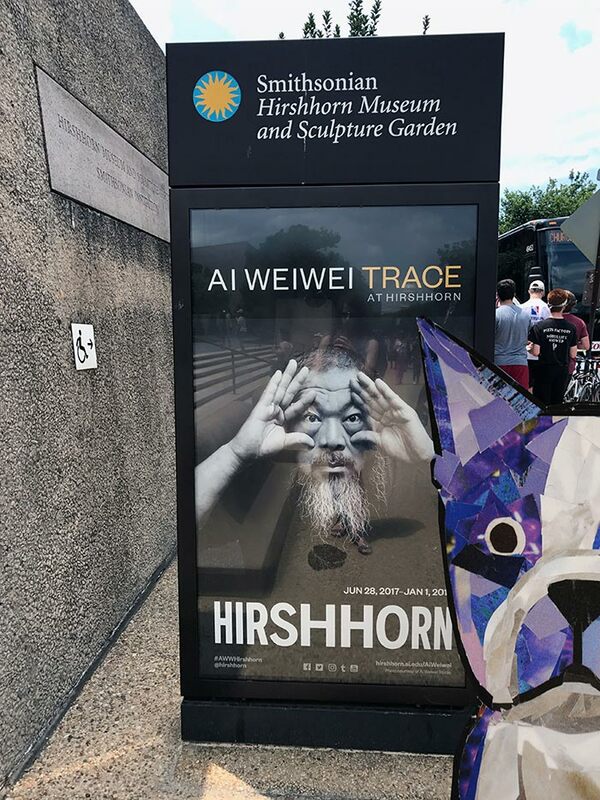 Bosty was excited to see that the new exhibit was the work of the contemporary artist, Ai Weiwei. He was also pretty amused by the sign with Ron Mueck’s sculpture of a man. 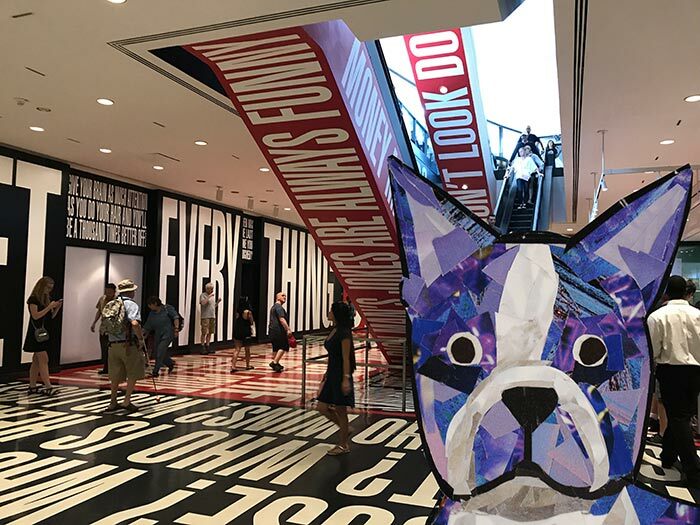 Bosty was mesmerized by Barbara Kruger’s “Belief+Doubt” piece. He liked her bold use of typography. 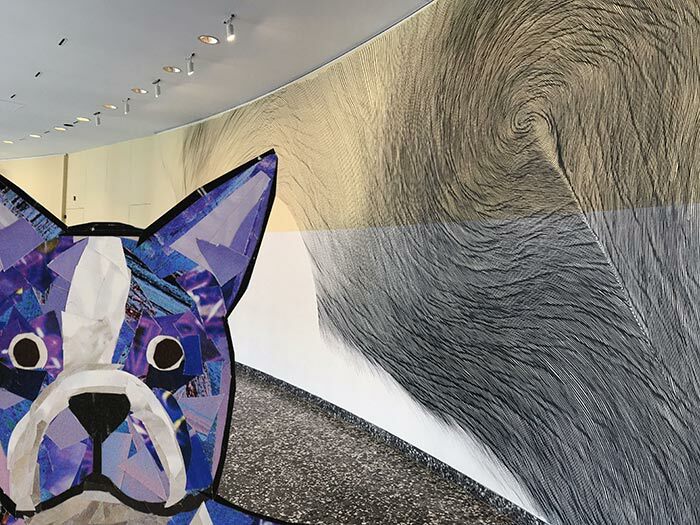 And Linn Meyer’s intricate “Our View From Here” wall drawing was incredible in-person. Bosty was definitely feeling inspired! 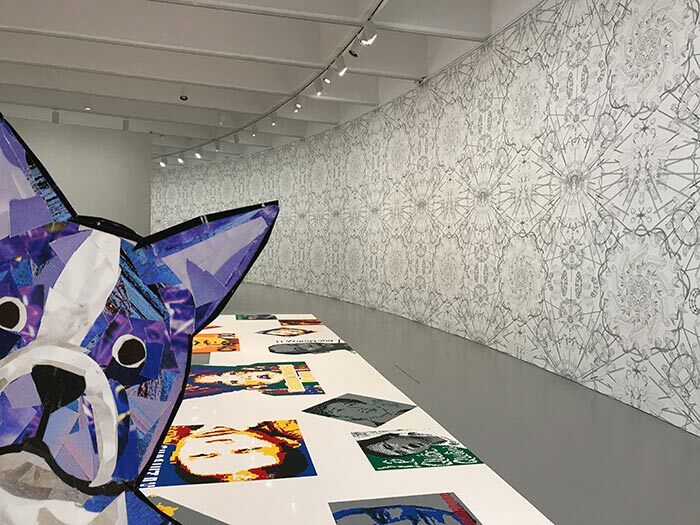 Finally Bosty made his way to Ai Weiwei’s exhibit. 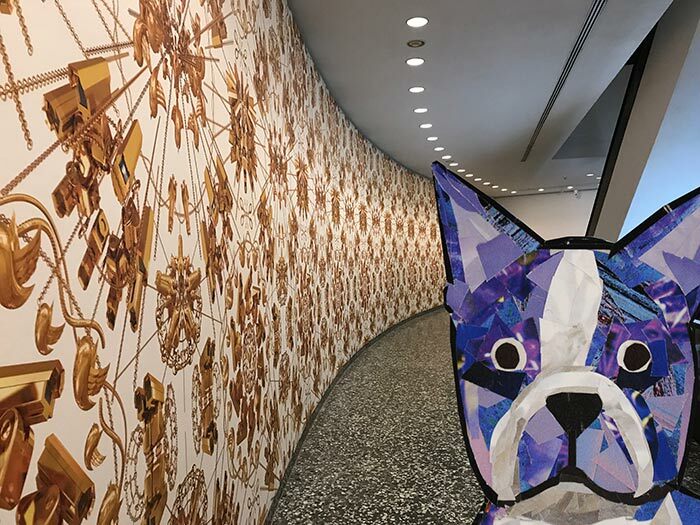 He thought Weiwei’s complex designs were intriguing. And his favorite part were the lego portraits on the ground. He could only imagine how long they took to piece them together! 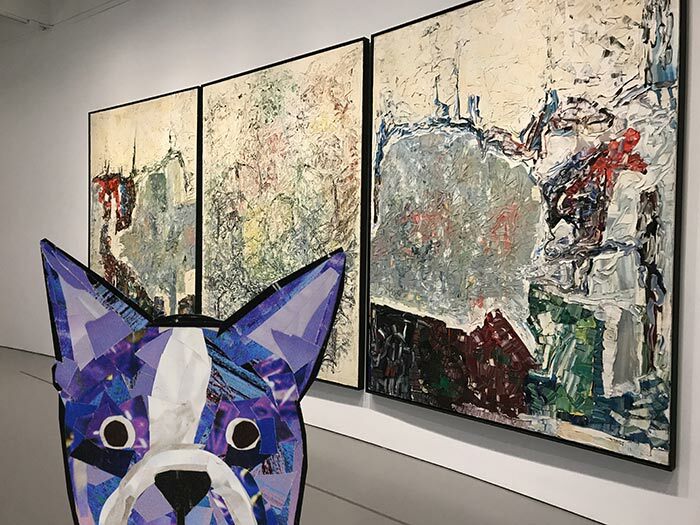 After seeing the special exhibit, Bosty wanted to admire some of the contemporary paintings, like Willem de Kooning’s work. 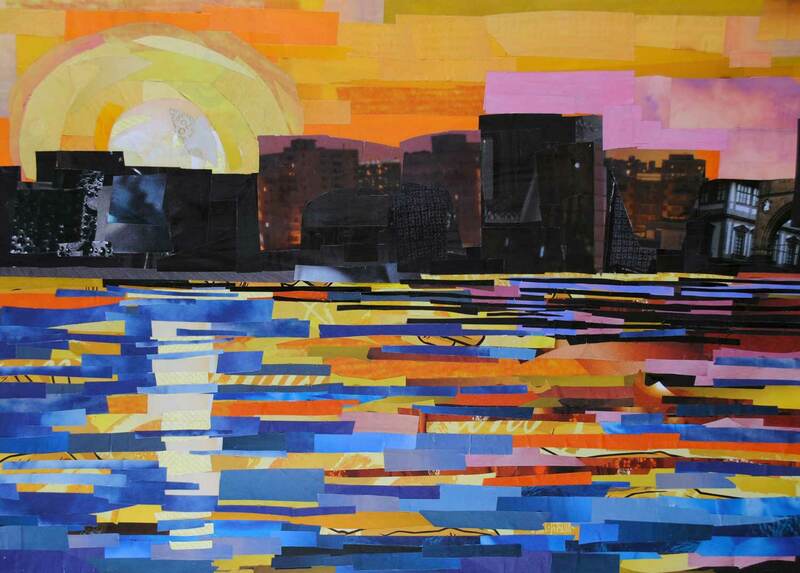 Jean-Paul Riopelle’s use of texture was incredible. 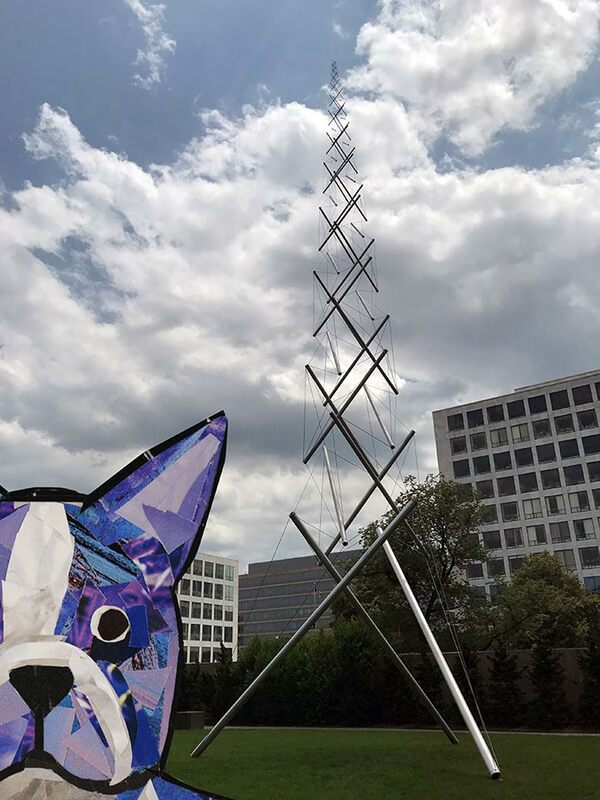 And after a day of admiring beautiful works of art at the modern art museum, Bosty was practically ready to start making his own masterpiece. 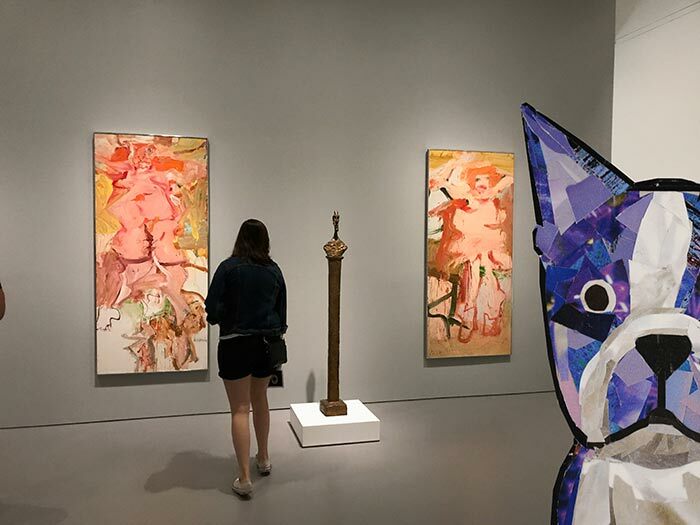 There’s nothing better than getting to see the work of great artists!